Low Cost Mailing is an experienced UK print and mailing company specialising in high quality Direct Mailing Services and is part of the Low Cost Printing family of websites. Direct Mail Fulfilment: From envelope insertion, addressing and polybagging, we are one of the most experienced and competitive direct mailing specialists in the UK. Database Services: With a wide range of database related services available, we can source, supply and process large databases for use in direct mailing campaigns. Postal Services: Make large savings on the cost of delivery by using Mailsort and Walksort processing. We are accredited with Royal Mail to process mail to their strict guidelines. Printing & Finishing: Lithographic Printing, Digital Printing, Graphical Design Services and all finishing is carried out at our own print & design facilities. 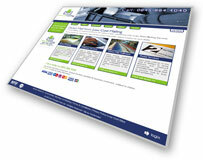 Click on the above image to view the low cost mailing site!